As principal of Pinard Law, LLC, Robert W. Pinard is an active trial attorney who perceives zealously representing his clients as an honor and high responsibility. 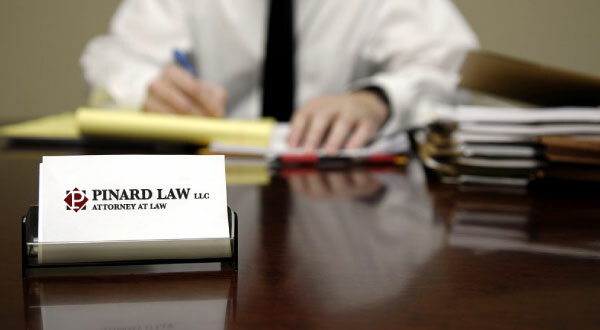 Mr. Pinard is admitted to practice law in the states of New Jersey and New York by their respective Supreme Courts. Mr. Pinard is also admitted to practice before the United States District Court for the District of New Jersey as well as the United States District Court, Southern and Eastern District of New York. Mr. Pinard received a Bachelor of Arts in Political Science from Villanova University in 2001. He then attended New York Law School, from which he graduated with a Doctor of Jurisprudence in 2004. While in law school, Mr. Pinard clerked for Kings County Supreme Court Justice Muriel S. Hubsher. He was also a member of the New York Law School Moot Court Association and was a recipient of the prestigious Morris Orland Award for Excellence in Writing and Oral Advocacy. Mr. Pinard is an active member of the New Jersey Bar Association as well as the Mercer County Bar Association.